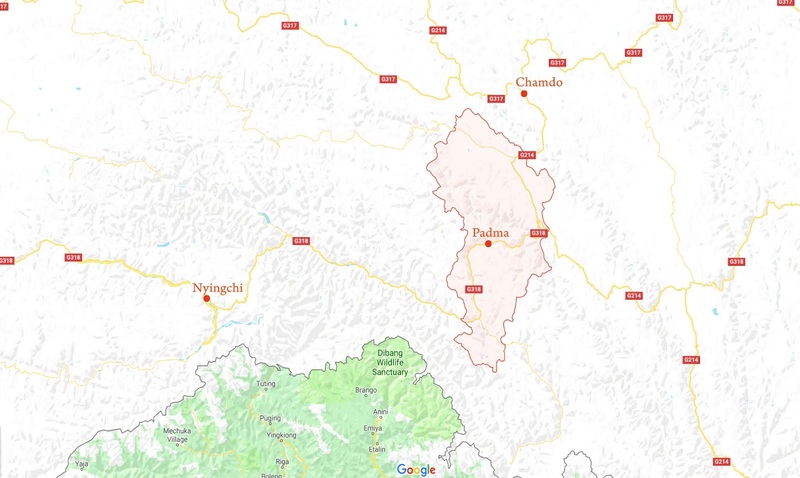 Baima (or Padma in Tibetan) is a township in Pashoe County (Baxoi in Chinese) in Chamdo City of the Tibet Autonomous Region (TAR); it lies at an altitude of 3,772 metres (12,378 ft) on the National Highway G318. China Tibet News reported yesterday that ‘Big Data’ were used for ‘poverty alleviation’ in the county. It is a bit worrisome, for an area located relatively close to the Indian border. ‘Improve the poverty alleviation’, as well keep a tab on the restive border population to ultimately …stabilize the border. This is also called 'special credit scheme', which 'notes' every Chinese national according to what he does. What is not said is that every detail of the life of the villagers and their whereabouts will be monitored by ‘Big Data’ (Brother). It is also called a Smart Grid. Villagers will perhaps gain some wealth, but definitively lose their freedom. For the Chinese State, it is crucial to monitor the border populations. Pashoe County is probably a test case for other counties, closer to the border. ‘Relocated families’ probably means that the villages will soon populated by outsiders. Quite frightening! On the opposite side of the Indian border, in Ngari Prefecture, north of Himachal Pradesh and Uttarakhand, the seventh batch of village task forces “have vigorously carried out relevant work, which has contributed to building the all-round well-off society and realizing the long-term development and the long period of stability,” said China Tibet News. Apparently, they are not as smart as their colleagues in Pashoe, as they don’t use as yet Big Data. It will certainly come very soon. Supervision of the masses is the new (old) motto. These task forces are a tool of the Communist Parry to control the populations, particularly on the borders. What is a village task force? In another words, ‘propaganda’ work. Village task forces with Big Data will be a deadly cocktail. What is surprising is the 67 years after having ‘liberated’ Tibet, Beijing still needs to convince the Tibetan of its bona fide …and still needs to fight poverty. Every propaganda article in the 1950s mentioned that poverty has been eradicated after the arrival of the People’s Liberation Army on the plateau. Now, it appears that it is not the case. Strange, isn’t it? Has ‘poverty’ reintroduced on the plateau, after the early eradication?